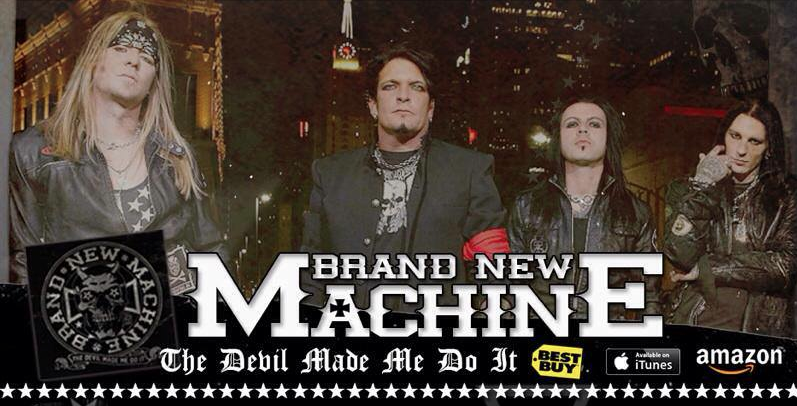 BRAND NEW MACHINE – Dallas Texas is home to the revved up BRAND NEW MACHINE; and they’ve released their supercharged debut album, The Devil Made Me Do It, this past July 23rd, via Epochal Artist Records. What a celebration of Hard Rock this album is! As BRAND NEW MACHINE calls it: Straight Up American Hard Rock. 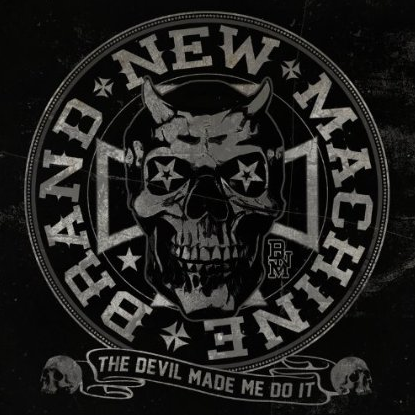 NO Hard Rock, Arena Rock, 80’s Hard Rock, Sleaze Rock or Glam Rock fan out there should ignore this debut from BRAND NEW MACHINE!! This is a whiz-bang MUST of 2013! With 11 electrifying songs that I’ve been fixated on from this debut album, Brantly Thompson will no doubt lead his band to the Hard Rockin’ promised land. Instantly memorable songs like I hear on this album just don’t fall from the sky; The Devil Made Me Do It is an album that has given the American Hard Rock scene a thrilling legitimacy once again! In other words, BRAND NEW MACHINE isn’t trying to carbon-copy the Modern-sounding status quo we’ve all been drowned in for the last several years. Here And Gone Today, Living For Another Day and Blackout Overdose are (just) three of many excellent songs that showcase the uncommon Hard Rockin’ ride that will no doubt make BRAND NEW MACHINE a band to know all around the planet. A BIG guitar sound experience, coupled with a non-stop POUNDING rhythm section only highlights the vigorous vocals of Brantly Thompson. WOW and WHOA!! I honestly wish BRAND NEW MACHINE was around many years ago and had a back catalog of albums to ROCK OUT to. It’s okay though, cause I can now look forward to this band in keeping their American Hard Rockin’ magic flowing for (hopefully) many, many more years to come! Metal be thy name. BELOW, TAKE A LISTEN TO DUST THE SKY… CRANK IT UP MUTHAS!!! * For Another Metal Odyssey Feature On BRAND NEW MACHINE, Click Below! Whoa! BRAND NEW MACHINE “Girls Like You” Music Video – Stone’s METAL Pick Of The Day! 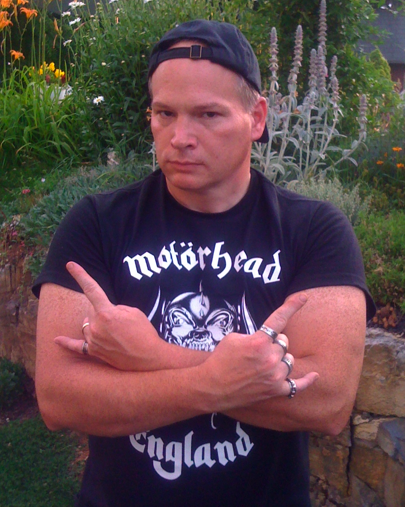 The above link is for a post featured on Metal Odyssey, on August 5, 2013. LONG LIVE BRAND NEW MACHINE. LONG LIVE STRAIGHT UP AMERICAN HARD ROCK. This entry was posted on August 21, 2013 at 10:41 am and is filed under Hard Rock, hard rock albums, hard rock bands, Heavy Metal, Music, rock music, rock music news with tags brand new machine, Hard Rock, hard rock albums 2013, hard rock bands, metal odyssey, the devil made me do it. You can follow any responses to this entry through the RSS 2.0 feed. You can leave a response, or trackback from your own site.